The following describes the Federal Trade Commission Compliance for our OMG Leatherworks website. We make every effort at candor regarding any products or services we use, recommend, or otherwise make mention of at OMG Leatherworks. We strive to clearly differentiate between our own products or services versus those of third parties, to facilitate inquiries, support, and customer care. 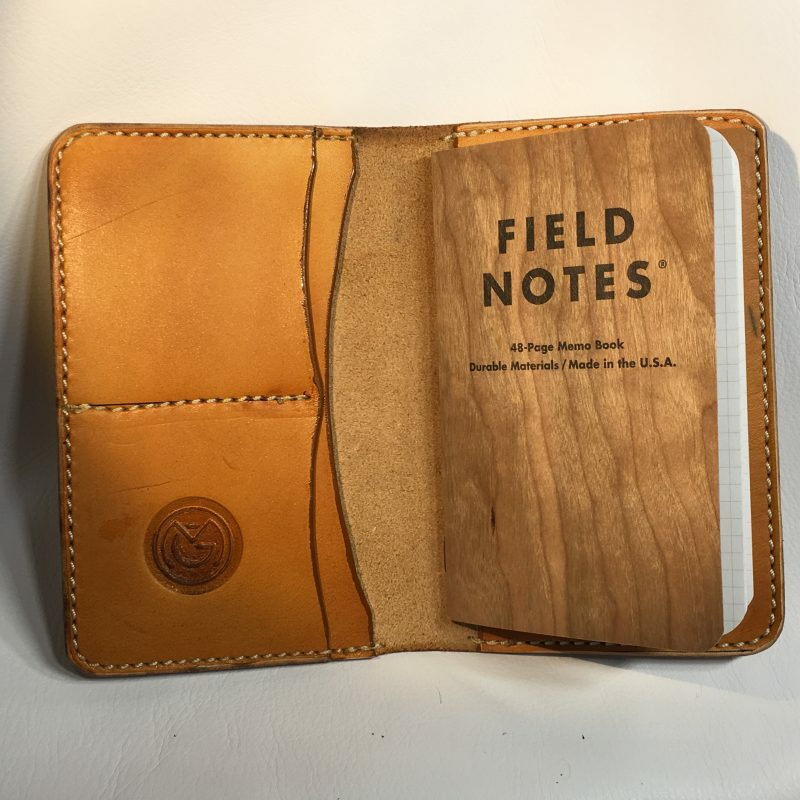 Likewise, just as we (and any other legitimate business) may profit from the sale of our own products or services, we may also profit from the sale of others’ products or services (like any retailer) at OMG Leatherworks. Additionally, wherever products or services may give rise to income generation, we endeavor to provide realistic and factual data, but highlight the fact that the variables impacting results are so numerous and uncontrollable that no guarantees are in any way made. It is our goal to embrace the guidelines and requirements of the Federal Trade Commission (FTC) for the benefit of all, and with that in mind provide the following disclosures regarding compensation and disclaimer regarding earnings & income. One or more parties affiliated or associated with our OMG Leatherworks website in some way may be an Amazon.com affiliate. This means that links to products on Amazon.com, as well as reviews leading to purchases, can result in a commission being earned. Again, disclosure of this material connection and the potential for compensation may not be made at every single possible opportunity. To be safe, simply assume there is a material connection and potential for compensation at all times. While this does not imply skewed or unduly biased reviews, full disclosure calls for this warning. 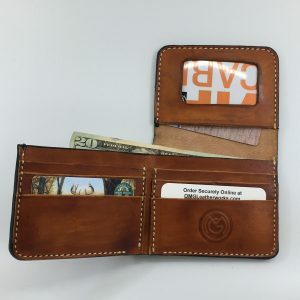 You should assume that we may be compensated for purchases of products or services mentioned on this OMG Leatherworks website that are not created, owned, licensed, or otherwise materially controlled by us. Stated differently, while most people obviously understand that individuals make a living by way of the profit that remains after the costs associated with providing their product or service are covered, at least theoretically there may be someone out there who does not understand that a third party can “affiliate” someone else’s products or services and be compensated by the product or service creator/owner for helping spread the word about their offering. Just compare it to retailers. They seldom produce anything, but rather make their money connecting product and service creators with end users. 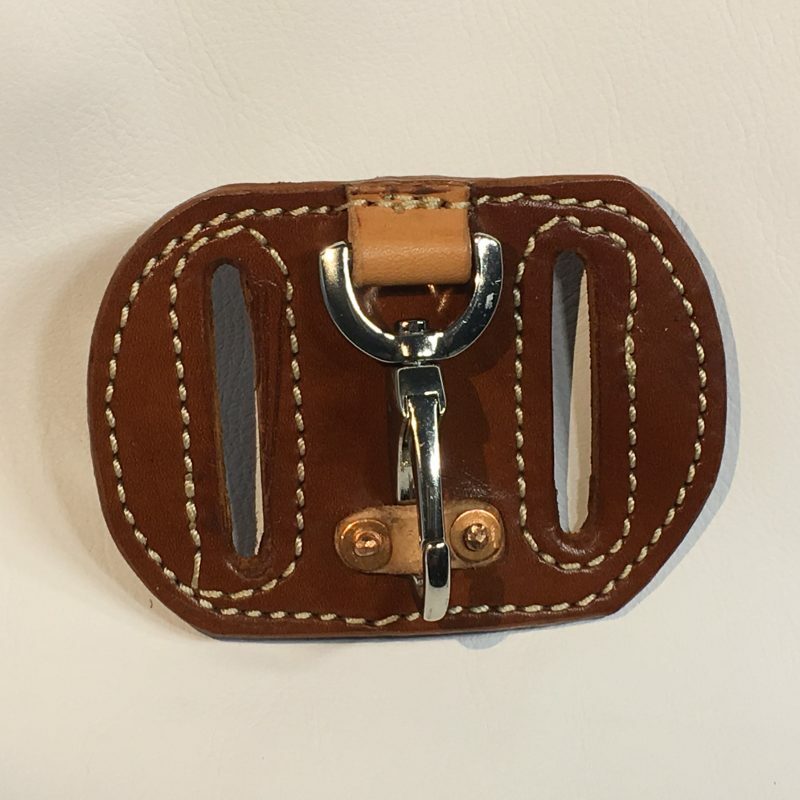 First, just always operate from the position that any website proprietor, including us at OMG Leatherworks, will have a material connection to the product or service provider, and may be compensated as a result of your purchase, unless expressly stated otherwise. Aside from your purchases, note that even you actions could result in earnings for this website. For instance, there could be ads displayed on this OMG Leatherworks website that we are compensated for displaying whenever a website visitor clicks on them. Third, despite the fact that it would be counterproductive to mention products or services that you’ll find disappointing or inferior, not only are people different, but it’s also possible for us to have a lapse in judgment. Thus, to be extra cautious, even if you believe in our good faith motives, you may as well go ahead and keep in mind that we could be at least partially influenced by the monetization factor of listing various products or services on our OMG Leatherworks website. Furthermore, in that vein, the reality is that there are sometimes other connections between parties that are not monetary, such as personal capital, goodwill, or otherwise, that could be an underlying undercurrent swaying the decision to promote a particular offering. Due to this hypothetical possibility, you should again simply nor rely solely on what we have to say, but rather just form your own independent opinion just to be safe. Finally, bear in mind that we might also receive free products or services, gifts, or review copies of items too. Testimonials regarding the outcome or performance of using any product or service are provided to embellish your understanding of the offering. While great effort is made to ensure that they are factually honest, we at OMG Leatherworks are not liable for errors and omissions. Aside from human error, some information may be provided by third parties, such as customers or product/service providers. The best results are not uncommonly correlated with the best efforts, discipline, diligence, and so on, and thus the results depicted cannot, in any way, be construed as common, typical, expected, normal, or associated with the average user’s experience with any given product or service. Exceptional results may be depicted by our website as highlights, but you are responsible for understanding that atypical outcomes may not reflect your experience. Aside from market conditions, products and services change over time. Older products may lose effectiveness. Newer products may not have a reliable track record. Many products and services are designed to solve problems. Common problem areas include legal, financial, and medical. We are in no way purporting to counsel you on issues related law, finances, or health. If you require guidance in these arenas, you should consider securing your own counsel from lawyers, accountants, tax professionals, investment advisors, or medical professionals before taking any action. Nothing we may ever communicate at OMG Leatherworks, in print or spoken word, will ever be intended to constitute any such counsel, as we do not claim to be professionals in any of those disciplines. You assume all risk for actions taken, losses incurred, damages sustained, or other issues stemming from your use of any product or service in any way connected with or mentioned on this website. Indeed, such decision is solely your own, or else determined in conjunction with the professional guidance of the advisor of your choosing. Income-producing products & services are likewise subject to the above cautions. In addition, however, there are additional factors we like to point out at OMG Leatherworks. Unlike weight loss products or self-help materials, income-producing methods are influenced by the overall health of the economy in which one operates. In times of liquidity, money flows freely and commerce is easier. In times of perceived scarcity, fear, recession, depression, or otherwise, commerce is stymied. Results can be influenced by market sentiment, just as the stock market indices around the world are swayed heavily on news. Income-producing products & services purchased should be viewed as just that – purchases. Though they can be investments in one’s business, it is not unreasonable to expect that there may not be an express return on that investment, per se. Often, business success is the convergence of a number of factors, methods, strategies, and so on. It can be hard to peg success to one method or machination. This does not necessarily undermine value of any given product or service, as it can have an additive effect. Or, it may have no effect. Since it can be difficult to tell, you should operate on the assumption that your outcome could be zero. We make no guarantees and you should only risk what you can afford to lose on any purchases on or through OMG Leatherworks. It should also be noted that we only have control over, and thus only accept responsibility for, the content of this OMG Leatherworks website authored by us. Any representations made by others should be considered prima facie unauthorized. You may also read, hear, or otherwise come into contact with commentary about any of our products & services or offerings, and should assume those have likewise not been authorized. You should not construe a third-party offer as an endorsement by that third party of any product or service. You should, more conservatively, view it as an offer to buy something. Likewise, as alluded to previously, note that we cannot fully control all marketing practices by all parties. With the use of “mirror” sites, indirect or unauthorized affiliates, “tiered” affiliate structures, and so on, policing the world wide web with any modicum of thoroughness is unlikely. We make reasonable efforts to ensure our affiliates comply with our policies and represent our products & services consistent with our guidelines. However, at OMG Leatherworks we cannot always guarantee they will do so. You are always free to report concerns or abuses via our Contact information.